2012 has been quite a year for me. A lot has changed, both personally and professionally. So, for those of you who know me well, this review will be no surprise, and for those of you who are new to my blog you may learn something about me you don’t know. In my 20’s, I learned that I am responsible for myself and no one else in this world can make things happen for me, except for me. In my 30’s, I have learned that I cannot control everything that happens in my life. Challenges and blessings will be thrown my way, and even when I try to plan my year, I must be ready for unexpected things to happen. So, I write this list and plan to make these things happen, but I am also preparing myself for surprises. This time last year, I would have never expected to have a blog, be in private practice, and have a new baby!! My sweet daughter, Molly, was born (ok, so maybe this one is the best part of the year). I could never have imagined a happier, more beautiful girl. She truly is a sweet spirit in our house, blessing us with a smile that lights up a room and a tender spirit that is more precious than words can describe. In February, I launched Kim’s Counseling Corner. Can you believe this blog is still less than A year old? I started the blog as a way to talk about my passion, and that’s what I did. It has come to open many doors and introduce me to some wonderful people in the blogging and counseling worlds. I honestly did not expect the response I have received. I look forward to continued growth, but overall being able to continue blogging about what I love! After many years of working with the same company, where I learned and grew so much, I decided it was time for change. I can now focus more on my family, as well as take the next step professionally. I am thankful to have met an amazing group of therapists and build my practice along side them. I became a Licensed Professional Counselor Supervisor (LPC-S). To be an LPC-S, an LPC must have a certain number of years of experience and complete 40 hours of training (think class room lecture style). As an LPC-S, I am approved by the great state of Texas to supervise new LPC interns as they start their career. I wanted to do this because it’s important for me to give back to the field and share what I have learned. In addition, there are few supervisors who are also play therapists, so interns interested in learning this style of therapy have one more option for supervision out there. My son turned 1 year old. Now, already about to turn 2, I am in awe of how fast time flies when you are having fun (or changing diapers, calming tantrums, reading books, giving baths, preparing meals, kissing “hurts” and rocking to sleep). He is already so funny, sensitive, intelligent, strong, and adventurous and I am blessed to be his mommy. I made Liana Lowenstein’s list of favorite things! I can’t tell you how much an honor it is to get a nod from Ms. Lowenstein. She chose me as her favorite website for 2012. I still have a hard time believing my blog is that great, but it sure is a confidence booster and has encouraged me to keep on blogging, even when time is tight! So, what’s in store for me in 2013? It’s impossible for us to know what really awaits us in the new year, but we can at least realistic goals and look forward to new challenges and blessings. Complete marriage therapy training with The Gottman Institute. If you have noticed my references to John Gottman in the past, it is because I am working on marital therapy training, along with a few fellow colleagues. Gottman’s marriage therapy is based on years of scientific research on couples and marriages. I look forward to continuing to growth in this area of my profession by mastering the Gottman techniques. Focus on physical fitness and mindfulness. So cliche’ I know! Before my first born, I was very much into running, weights, and yoga. In fact, I ran the Marine Corps Marathon in Washington, DC with my husband just a few short months before getting pregnant. I don’t have aspirations to run like that again, but I miss the feeling of being strong and healthy. I also practiced yoga and meditation regularly. This was for my emotional health, as well as physical. Now that my life has so many more demands, I am going to have to make it a priority and work it in when I can. Expect some blog posts on this! 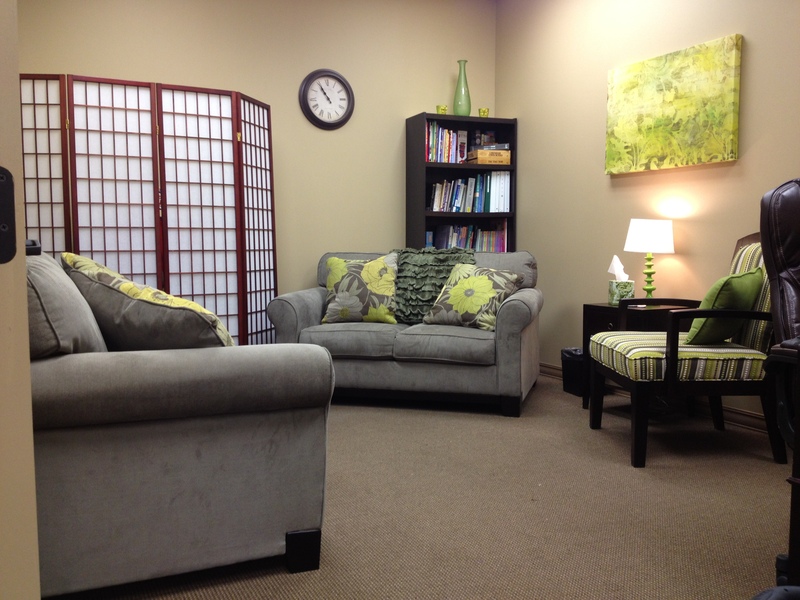 Continue to grow Kim’s Counseling Corner. Writing to you is therapy for me. I often feel a sense of connection with the readers and others in my field. I also learn a lot. When I write about a topic, I typically spend a good amount of time reading what others have written on the topic, finding resources, or reviewing my own client histories and progress. And finally, it also gives me a feeling of accomplishment and contribution to the field of counseling, play therapy, and psychology.